From Leisure Hour 1864 titled ‘A Village School’ with no attribution. There are many ways to approach the research of any ancestor, and one useful deciding factor is their level of education. 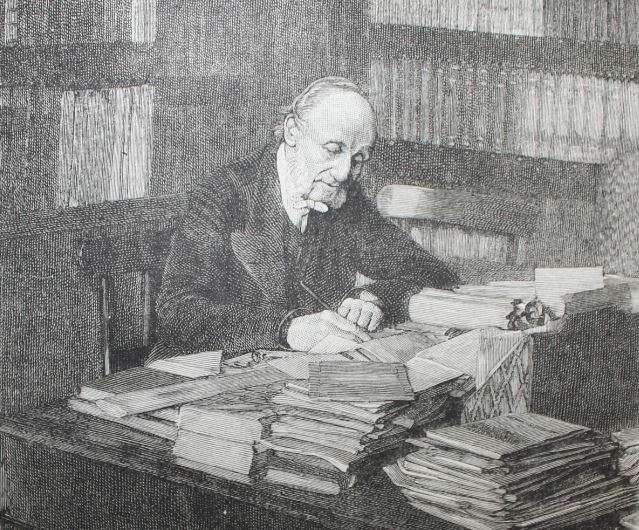 A man who could read and write well probably signed his own documents and had an idea of how his surname was spelled. One who couldn’t had to rely on the ability of the official recorder. William Truitt, for instance, born in Yorkshire in 1708, could not read or write. His children were baptised under the surname Triffitt and William died a Triffitt too. His Yorkshire accent was interpreted as best the minister could. The three Dillane brothers convicted in Ireland arrived in Australia as the three Dillon brothers. John Reddan became John Reading. Burlington became Burliton then Burleton. Anyone researching family history becomes familiar with the evolution of names. 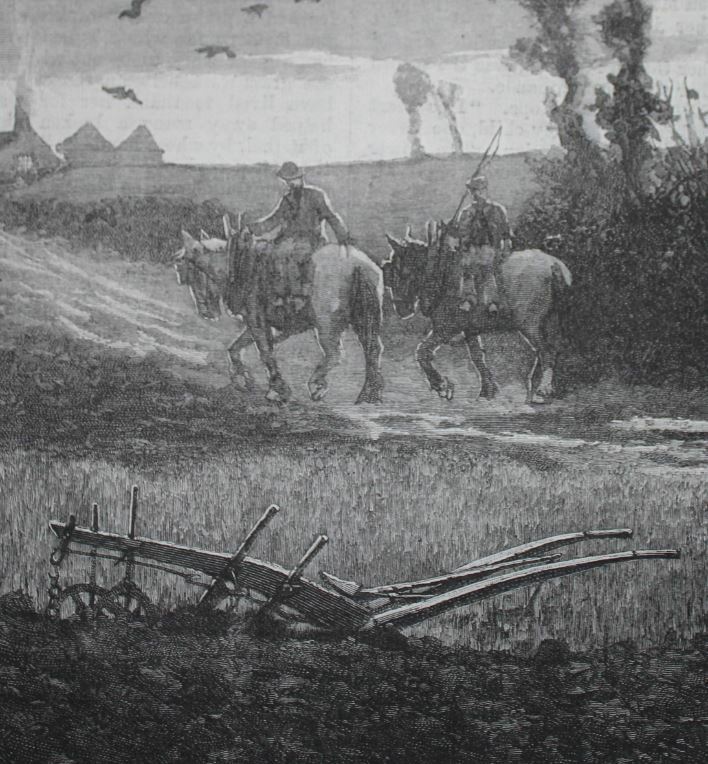 Points of emigration were a particularly problematic time. It also fills out a family story nicely to work out what education someone had. It’s one of my ‘prod’ questions, the ones I use when an ancestor ceases to be a real person to me and becomes a bunch of facts. Sometimes I will located baptism, marriage, death and occupation and feel as if research is done on that ancestor but I don’t really know anything about them. This is bound to be the family on which I trip up. Education has been around for as long as records and of course this is no coincidence. It was only when humankind learned to pass on its knowledge that any sense of difference could have been recognized, across the generations. There are children, there are adults, there are old people. Old people die, children are born. Once that must have been the extent of it with a whole lot of reinventing the wheel going on. For the next few thousand years children were educated in the things it was believed they would need to survive. This remains the rationale today. In some societies what they became as adults depended on what they happened to have learned. In others, what they were from birth determined what they would be taught. In most societies the situation fluctuated century by century or decade by decade. England had a very exciting educational revolution in the early 19th century. Until the 18th century they operated under a stable system of rich families educating their sons to be thinkers and leaders and their daughters to be examples of propriety and health to the masses. The masses were taught the labouring skills they would require and the morality to stay diligent and not become a burden on society. The system worked well for a long time, it would seem, until the second half of the 18th century when new knowledge led to a dramatic increase in population. Infant mortality declined greatly. 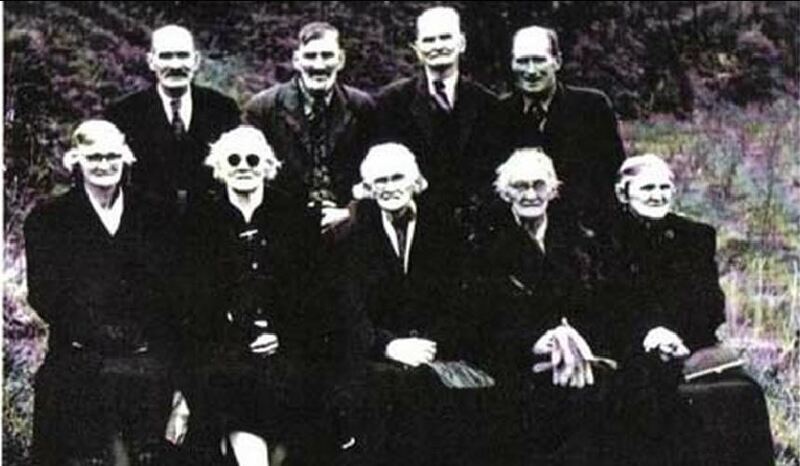 Once a farming family birthed ten children and lost six. Now they lost maybe one or two. A system that worked on the village level no longer functioned. England had allocated a fixed quantity of resources to its masses and when the population exploded they were not prepared to give more to them. Crown land was passed over but the aristocrats were not so altruistic. Not only that – they suddenly had more of their own children growing up too. In their defense, this issue was not easy to see. We can do it in hindsight, but without walking a day in the shoes of the peasantry, a noble family could not perceive the problems of inadequate diet, the need for greater sanitation, the inability to clothe ten children on an income which once adequately clothed four. What they did see was more crime and idleness. The initial response was to tighten the laws, to make the punishments stricter. Theories abounded as to the cause, but not many hit on the true ones. The most common theory was that they were born somehow twisted – morally twisted. The churches were put to work on them but if the church couldn’t save them, they were executed. One thing the church tried in order to bring the peasantry back under control was basic education. They were taught to read so they could read their bible. There were a colossal number of executions in earlier centuries and reading through the newspapers of the 18th century one sees huge lists. It’s quite tragic – names and ages. Most of them seem to have been teenage boys from the farms – surplus workers whose own families even did not realize how hard it was to get work. They probably felt inadequate. They certainly felt aimless and fell into unfortunate lifestyles. Then life was cut off before many of them reached adulthood. The tide was turning against execution though. More and more petitions were being got up to bring it to a halt. Local Members brought the matter to parliament, as raised by their voters. It was just too much death in a society being taught to forgive their enemy. State-controlled transportation was the result. Transportation was a well established practice but now it became a properly organised process. We all know that education became state-controlled in order to provide a work force for the industrial revolution. To me, this is a somewhat simple overview. Literacy was encouraged to aid the churches in teaching Christian values and moral behaviour. Schools became a way to keep the idle occupied and to train the poorest students into a profession whereby they would not be a burden on the community. For many centuries, wealthy men would bequeath funds to the local charity school to assist in this important task. The successful management of the poor led to better success for a town. A community could be well and truly dragged under by too many incapable beggars. The wealthy continued to spend a lot of money educating their young. Governesses and tutors were brought into the home or the boys went to boarding schools, private or public. As the 18th century drew to a close it was becoming more common for girls to attend boarding school also, just for a couple of years. These were not boarding schools as the boys experienced, with hundreds of students per class. The girls were in little cottage schools with a total enrolment usually of ten or under, run by an educated lady of good birth with her own genteel residence. It was a good position for a lady with a house but no accompanying income. Small boys’ schools were started in the same way, by a school master without a position in his own house who would take just a few private pupils. It wasn’t so different to an apprenticeship, probably, except the master received fees and the students learned Latin, mathematics and geography instead of a trade. The introduction of the Poor Law in 1834 had an impact on orphanages and turned them into Schools for Orphans. 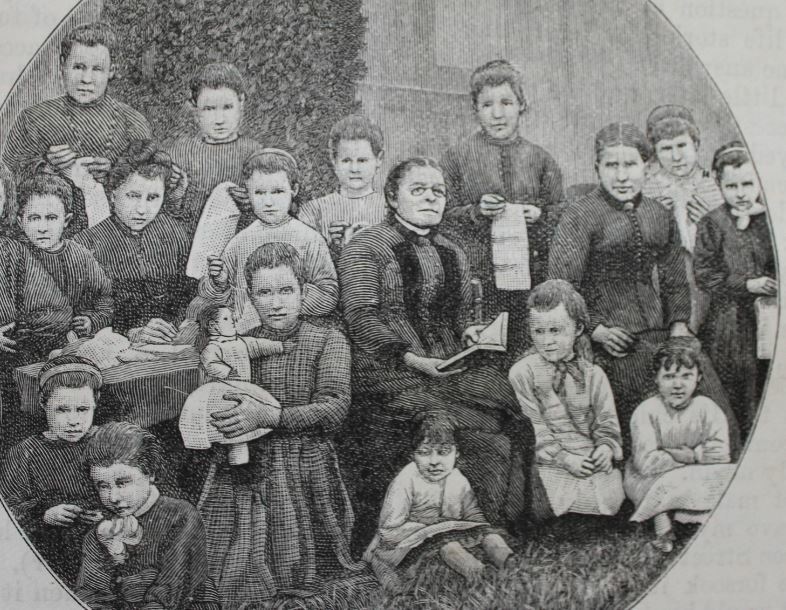 These orphan and pauper children were the original targets of the school system which trained for industrial positions. 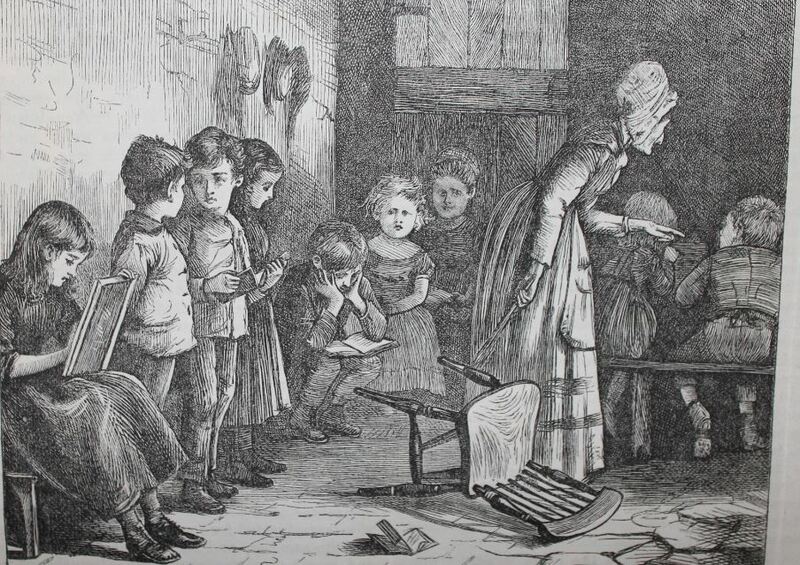 Workhouses also taught basic literacy and numeracy. However, the honest working poor then discovered that pauper children were better able to enter employment than their own young ones. It caused an upheaval and a paradigm shift which is fascinating to examine through the records. Having set the scene for education in the United Kingdom, I can take a closer look at the educational experience of some of my ancestors. 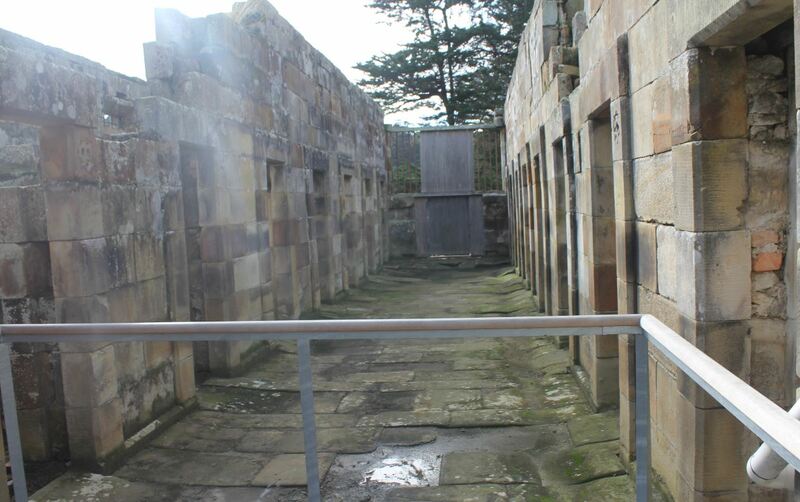 Cells at Port Arthur. Not everyone will admit to a criminal record in the family. Secrets come in all shapes and sizes, and what one person feels the need to keep under wraps, someone else will be happy for the world to know. This is one of the fundamentals of family history. Anyone who delves will soon notice the differing reactions to their new hobby by various family members. We don’t get very far until the family trusts us. We can bypass many obstacles now the internet is here, but it is still hard to research if the family is against it. When my DNA test results first came in I emailed a 3rd-5th cousin. He sent me a very courteous email telling me that his niece was the ‘keeper of the family secrets’ who managed his DNA kit and he was forwarding my email to her. The phrase has stayed with me. It’s a very honourable title in my mind. While researching we may learn things about living family members which we haven’t actually been told. Or we might be told some things in absolute confidence. Some wish to hide an adoption, others wish to appear rich when they are almost broke, still others don’t want the world to know that their parents were never formally married. Some don’t want anyone to realize they cannot read and write. We know these things happen and we know it doesn’t change who we are and who our family is. We can respect their right to privacy and we will keep the secret, even though it is something we are sure our relatives would perfectly understand. Occasionally in my family investigating I learn something that perhaps would be better out in the open. What if the person who is almost broke can’t afford to go to the doctor yet other family members would be happy to help? What if someone has been ostracized for an action and I discover the real perpetrator was a different family member? But this is their secret, not mine. Maybe I can persuade them that the knowledge won’t change the family’s view of them but I can’t break their confidence. In my mind, I am bound by a non-disclosure contract as rigid as that which binds police officers, doctors and public servants. There are some situations where duty of care overrides this – child abuse, mental incapacity or a person at risk of serious harm. The usual caveats apply. But that’s not what most of us find. What we find are the little things that are meaningful to one person but not another. These are the situations which can cement us as the Family Recorder or relegate us to the one who “did some research into the family but didn’t get too far”. In my own research, I’m comfortable about exposing the secrets of the far past where they have no impact on living family members, but this does take some knowledge of the views of the existing family members. I have occasionally made mistakes. I have one elderly great aunt who did not take the knowledge of a convict ancestor at all well. 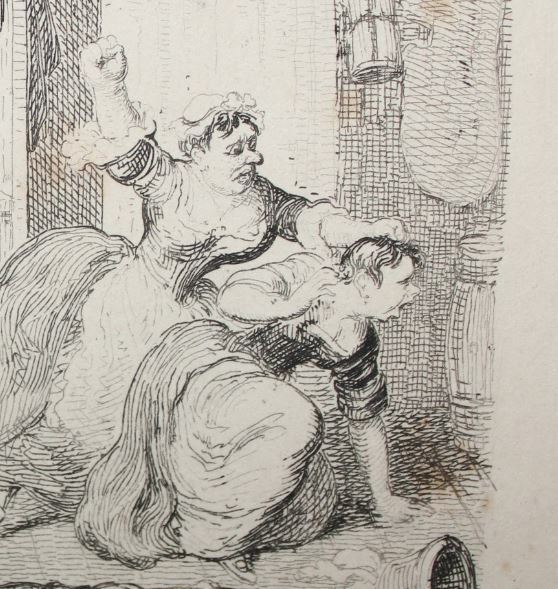 It was a shame since that particular convict ancestor was a lady we can all be very proud of. I also upset a family member once by suggesting we connect with a certain other local family which had a reputation for petty crime, noisy squabbles in the town and a penchant for picking fights with anyone when they’ve had a few drinks. The current elderly generation firmly state that we are no relation and need to have nothing to do with them. The reality is that we are related but our branch told their children to keep away to avoid the children on our side ending up in the same downward spiral. When we have our DNA tested, we run the risk of uncovering secrets which were very successfully buried. The unexpected sibling, for instance – or a complete absence of match to a known sibling. This is definitely the big one and has occurred often enough that at least one DNA company has altered their privacy policies to avoid any culpability for exposing the truth. Yes, this has now happened in my family too. We have a new close relative, a person known for many years as a neighbour and now known as something more. I won’t be any more explicit as there is a lot more talking and disclosing to be done, but in this case there is not a huge amount of surprise. Our anticipated connecting family member was always the black sheep of the family and the person most likely to mingle freely where no one knew they were mingling. So what do you do as the kit manager of three or four kits, the results newly in, and the truth staring at you from the screen? No one knows the truth but you. Chances are the person whose kit you are managing will never feel interested enough to view their results, let alone understand what they are seeing. You might pull it off. Pretending not to notice might be the right thing to do. The answer probably depends on what else is happening in that family at the time. People can only handle so many issues at a time. Someone in the throes of divorce doesn’t need to learn right now that they are adopted. But keeping a secret from the family in general is different to keeping a secret from the subject of the secret. This is their secret and accidentally it has come to you instead, like a misdirected letter in the mail. If I receive a letter addressed to someone else I know I have no right to keep it from them. There is no awkwardness at all about passing over a letter. With a DNA result, unexpectedly we know something very intimate about another person, something that might shake their world. I have observed in my life that once a secret begins to emerge, it has a habit of forcing its way towards full exposure. We are not trained for this and never expected our pleasant hobby to throw this at us, but here it is. If genetic genealogy comes to a grinding halt at any time in the future it will probably be due to this very issue. This can be confronting and distressing. There are various committees in different countries already debating the matter. It is not really an invasion of privacy since everyone who tests has volunteered and signed their permission. But if I discover a sibling for myself, have I inadvertently invaded my parents’ privacy? A physical characteristic has brought the truth out. Is it fundamentally different to a golden haired child born into a family with a black haired father who also has two black-haired parents? It’s open for debate and is being debated in various places. I have a good friend who started his family tree at my prompting. No one had done such a thing in his family and he had a very interesting family. He had two half brothers but strangely enough he had never thought about their exact age. All children were raised together after the half brothers’ mother passed away. He asked them their birth dates for his family tree and discovered that one of them was exactly two months younger than himself. His parents were married before he came along and stayed married. The recognition of his father’s affair shocked him. He has not touched his family tree since. I felt rather bad about it for a while, almost as if I was responsible. However, he has rallied. His half brother had recognised the truth long ago and was waiting for it to twig. It has, after several months of coldness, cleared the air and they have moved on. After thirty years of family research I now realize how often this happens. Also – where there is one instance of it, there’s an even better chance of a second. This holds true in my own family. The young man who sowed his wild oats in one direction often turns out to have gone in all directions. In the family branch now holding our newly discovered family member, I already had a couple of unexpected additions found through church baptism records. In a tiny village the baptizing minister knew quite well who was spending time with whom and so did both families involved. The family never spoke of it but it’s there in ink and parchment. This one is a little different as the child was born to a properly married couple. I have a lot of sympathy for someone who suddenly doesn’t know their parents when they thought they did. In my current family revelation, paternity is still uncertain. We have two couples – unrelated – each of whom had a child. It turns out that both children are half siblings. We are pretty sure of each child’s mother so they share a father. Which of the two men it is has not yet been determined. One of them will ‘lose’ the father they thought they had and will gain a new father. Both sets of parents are now deceased, this happened a long time ago. Each child has a well researched tree and that adoptive parent certainly has his place in the family still. He was still their father – but genetically speaking that branch is severed and the DNA kit will continue to receive matches for a family the child never knew they had. DNA says it like it is. I have two DNA matches with adoptees who would dearly love to know where they came from. I have a DNA match with a girl who doesn’t know who her father is and would love to find him. At some point, I’m sure all children who don’t know their parents wonder who they were and if they share any traits and what happened that the parent could not be there for them. 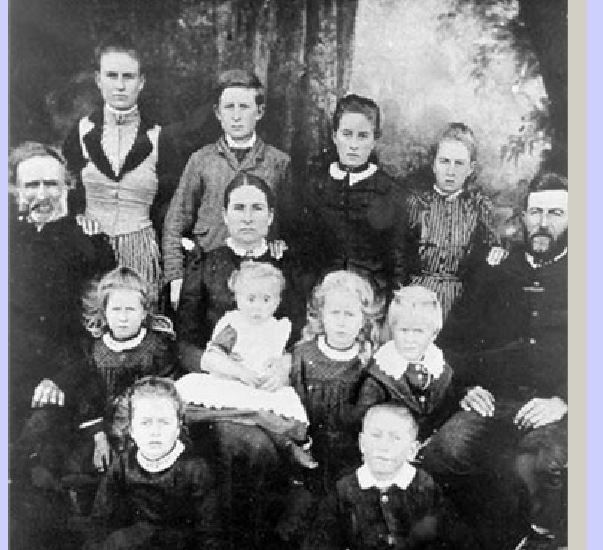 The thought of reuniting severed families is a heartwarming one for most family historians. On the other hand, I have a relative who adopted out her child and while she would love to contact him, it would cause conflict with her husband who is a very jealous man and not the child’s father. I have a friend with psychiatric issues who proved incapable of raising her child and that one was adopted out too. If that child comes looking for her mother, she will find a lady living very convincingly in a fantasy world of her own creation. I hope that child does not come looking because it takes a whole lot of experience to spot the fallacies in this woman’s reasoning. She’s very convincing in her delusion. But of course the child will! It’s human nature. Other birth parents were victims of a rigid society and were simply not allowed to raise their own offspring although willing and able. There are two or more sides to every story. All we can do is be aware that we risk uncovering skeletons and maybe have a plan for dealing with it in place before the event. The easiest thing would be to avoid the research in the first place, but hopefully that solution won’t satisfy anyone. We are family historians because we want to know our family and that means our true family in its mix of acknowledged and unacknowledged parents, siblings, cousins, family friends and pets. If there are anomalies, that’s just part of what makes our family the unique entity it is today. Once the truth is out it is no longer a threat to the family’s stability, and most of us will just experience the reassurance of finding our research confirmed. But we need to understand people, those in our family in particular, in order to deliver and help them cope with any surprises. It takes some empathy and consideration. This was a long post and unusually serious, but a subject which I felt needed to be covered. It is part of my family history journey and part of many others’ as well. I don’t know for sure if my approach is the best, but it is the one that has served me best. It is well worth being prepared for this before it strikes. It’s like a forest fire approaching the house. It might never happen but if it does and you don’t have a prepared drill it is very hard to think clearly in the heat of the moment. The Keeper of the Family Secrets has a particular role to play in the protection of their family. Families were large and take a lot of researching. On the far left is Robert Brown, the husband of Mary Morgan my first brick wall and subject of an earlier post. On the far right is his eldest son Robert. The seated lady is Robert Jr’s wife Emily, and the children are theirs. 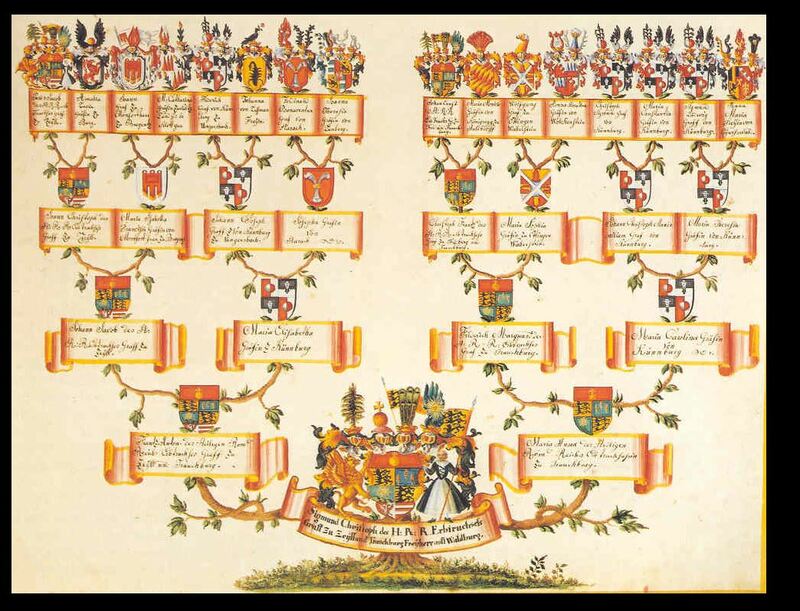 When I began researching my family tree, the plan was to learn about those relations which my family knew but I didn’t. The net was wide. I spoke to everyone, listened and took notes. I learned about Sister Muriel who found the smallest things fascinating, about my grandfather’s grandmother who sat on the firestep smoking a black smoke and was consulted about every small decision each family member had to make, and about my grandfather’s mother who everyone said had a wicked sense of humour but her daughter in law (my grandmother) said was ‘a little bit strange’. Personal relationships spoken and unspoken came through. I could see who had got along with whom, and where the conflicts were. Stage One of my family research was sorting all these people into their proper places. Eventually, I achieved this. Stage Two was researching the families back to their point of immigration to Australia. As I looked further back, the families were all large with many siblings in every family. I found several who had between 15-20 children, obviously men who were married more than once. I located all the siblings since they were part of the direct ancestor’s main story but continued back looking for the emigration. In order to answer the question ‘why’ they emigrated, I needed to ‘cross the pond’ and learn about their family situation in wherever they came from. This proved fascinating and never straightforward. Many of them were already displaced, having left their home county to chase the work. In order to work out their true origin I had to research their parents too. If everyone had a thoroughly researched tree, direct ancestors are all that would be required for DNA matching. You’d just search for the ancestor name and bingo you’d have your match. Stage 3 of my family research is getting each line back to 1700 to do my bit towards the simple DNA Match effort. I’m a long way from it – so far that I don’t even know how far. I’ll tally it all up sometime soon. I think I have about eight couples at that time period across mine and my spouse’s trees. All of this has involved pushing on back and finding parents. Once I have a baptism register, of course, I’ll record all the relevant births I can find – other children and nieces and nephews. If I don’t have that much information I’ll just take what I get and push on back. Subscription sites are really bad for this kind of research. Obviously they are in a competitive business so they give as little as they can – single record by single record. Those who pay per view will be more profitable to them this way. But those of us who just want the fun of a page of records to pore through and sort into the various family groups don’t have the opportunity. What I have now recognised is that not everyone can get back to where I am so I need to meet them halfway. I have also recognised that most of my confirmed matches – the Burleton match, the Lockley match and the Brown match for instance – have been through a daughter of the family on their side, a daughter whose surname changed. Sometimes it is easier to come down from above than to go up from below. I need to trace all those descendants and meet my matches maybe much more than halfway. So – I need to take my ancestors all the way back to 1700 and then come back down filling in all descendants. This is where the sea of descendants turns into an ocean. I gather that many have begun this task but given up. Consider an ancestor couple who married in 1700. Assume they had ten children who all lived to grow up and marry. Assume they all had ten children between 1725-1745. The original couple now have one hundred grandchildren. If all those grandchildren marry and have ten children, we are looking at a thousand great grandchildren by 1800. We then want to follow those thousand descendants for another 200 years. No wonder people give up. In reality we shouldn’t have to do the final 100 years. Most DNA testers barring adoptees, orphans and refugees will have their tree back to their grandparents and great grandparents. But if each prolific person can have 1000 descendants after 100 years, by 1900 we have 1000 times 1000 – that’s 1,000,000 . Yes, giving up was the sensible move. I also feel a little better about not identifying 388 matches on FtDNA (and the number keeps growing). It’s a miracle I have confirmed as many as I have. Of course, it won’t be like that. It could, theoretically, but it won’t. Not so many families of ten had them all growing up, not all adult children married, not all of those who married then had children. Of course, this might be countered by the Casanovas of the family who fathered children they never even knew about, but we’ll see. Also, population numbers dropped off in later years and in times of trouble. The worse case scenario won’t really hold. But – I’d better get on with it. Maintaining a family tree is a well established practice. Obviously, our ancestry already exists. The act of creating a family tree is simply recording those existing facts. We have a finite number of ancestors, but the number is so mind-bogglingly big that it may as well be infinite. If we had the capacity to record our forebears back to the Stone Age or before, we’d have billions of records. The longest family tree in the world is believed to be that of Confucius, with more than 80 generations in it and about two million individuals. Most of us have about four generations a century, so that’s about 2000 years. I don’t know much about Confucius’ tree, but I suspect it is a patrilineal tree – following the line of father to son. We have more of these trees because they were kept for a purpose – to prove who was the heir for a property and who had the right to govern a property, to manage the staff or serfs of that property, and to rally a troop of men from that property to serve the king or queen when needed. In the days before civil records, the family tree was a very public thing, pretty much like our business directories today. Anyone was free to examine it and if they found it incorrect, could challenge and through joint agreement could insist on repairing the inaccuracy. The patriarch (a Roman term taken on by classically trained Englishmen) was in charge of the family tree along with all other family accounts. No one, back then, would have dreamed of a need to make the family tree private. If someone belonged to a family important enough to warrant a tree, they were damn proud of the fact. It cemented their place in their family and they didn’t have to fight to be remembered. It most likely got them a spot in the family crypt or burial grounds, and somewhere to turn in time of strife. The head of the family had a responsibility to keep his family’s reputation clean, and this meant allowing no beggars (they could be found employment and given a hut on the grounds), no criminals (if innocent, the family could employ a lawyer to defend them and if guilty they could be got into the army) and no public dysfunction (mad people, raving alcoholics, opium addicts and those with diseases caught from prostitutes were discreetly cared for in institutions, paid by the house). It took a lifetime of training to be a successful patriarch. However, a family tree was not required to be honest, being a step short of a legal document. Just unarguable. Ethically of course, it ought to be honest, but if the family closed ranks about an indiscretion and presented a unified front, chances were the false data would hold up. No DNA testing in those days to prove a point of paternity. Thus a tree from a few hundred years ago makes a good source but cannot be taken verbatim. Details about the above image can be found at http://www.geograph.org.uk/photo/2094213 . Nowadays we have different rationales for keeping a family tree record. I suspect that principal amongst them is a desire for family. It looks to me as if there are a few common points at which people begin their tree. One is when a first child is due, another is when the children leave home, the third is after retirement and the fourth is after a close family member passes away. I have a suspicion that in all cases it stems from a desire to have feel oneself within a close family unit when one’s family is in fact busy and distant. Not necessarily loneliness – just a subconscious awareness that the old style comings and goings, frequent family barbecues and big old style Sunday roasts with the extended family would be a pleasant thing to have in life and would bring a sense of belonging. It’s nice to feel anchored in family. I’d love to research this in more detail. I hope someone does one day. I have noticed also that it is those who live away from their ancestral homeland who are the keenest to trace and record their family. The descendants of colonists, for instance. It has long been a matter of amazement to me that those living in England are not so interested in their ancestry, when they are living right on Ground Zero. Oh, the photographs of churches, roads and coastlines I could take were I over there! The military records, the wills and portraits and family homes I could have viewed. But my distant British cousins who walk every day to work down the road that our 5 x Great Grandfather walked are oblivious to it all. We all start small and get bigger. Most of us just start by curiosity about our great grandparents, that generation which is just outside of our own memory but close enough for our dearest relations to have known intimately. In my own childhood, these figures were shadowy names but the imprint of their lives were everywhere. Their pictures on the walls, their names in novels on the shelves, the trees they planted and the axe they used to chop wood were all still in the family residences. We all have four sets of great grandparents, unless our grandparents were cousins which was quite legal until recent years. A family history project involving four couples is quite manageable and not likely to put off a beginner. For most of us, of course, it’s the start of a slippery slope to a project which takes 20 enjoyable hours a day if we let it. 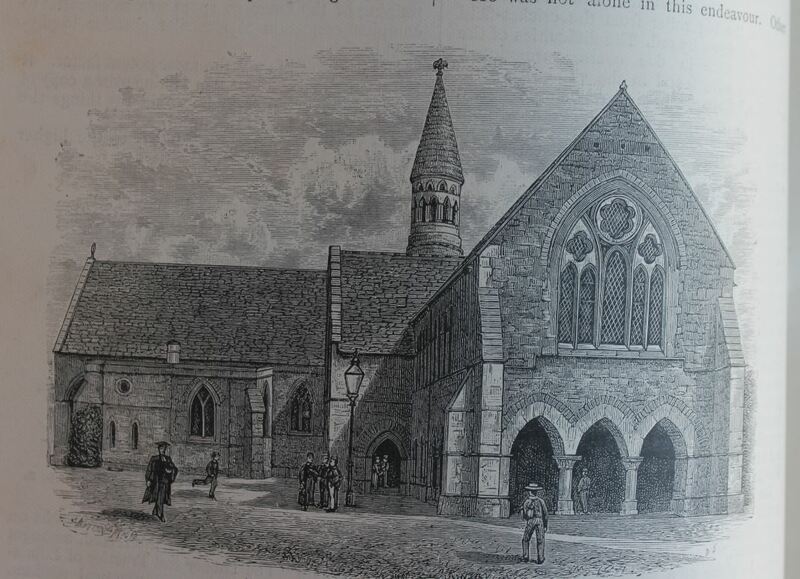 Image from Sunday At Home yearbook 1876. He may not have been working on his family tree, but it certainly gets like this. Once we have researched our great grandparents we usually understand for the first time that they were people not so different to us. We have probably also recognised that at least one of our great grandmothers who had been a bland and shadowy figure all our life turns out to have been quite a woman in her time – remembered for her sense of humour or her ability to hold her own against housebreakers. She may have organised the church fundraiser dinners or smoked a black pipe, won prizes for her crochet, sworn like a trooper or driven a six-bullock team all alone – whatever it was, through our enquiries she will have become a person in her own right and this casts her husband in a new light too. That initial change in perspective is akin to a paradigm shift. We thought we knew our great grandmother sat in a rocking chair on their front verandah or beside the fire, knitting and listening benignly and proudly to their strong and healthy descendants. We thought we knew because that’s probably how she was in later years, due to age. The men of the family were never this hidden, being the breadwinner. For me, it’s that blossoming into their own personality which makes family history research worthwhile. Iconic grandmother image from The Sunday At Home 1891. Image not attributed in illustrations index. I graduated soon enough from immediate family to wondering where my great grandparents came from, why their families left their homeland in the first place and moved to Australia. With the exception of one possible Aboriginal ancestor, everyone else came from somewhere for some reason. My new objective was to trace each ancestor back to their point of emigration. When – What Ship – Why. They were my questions for each ancestor. Since I was married by now, I had two family trees to research. Twenty years later, I still have not completely achieved this. Across both trees I have five mystery people. However, I am now onto Stage 3 due to my cousin search – I want to take every line back to 1700, to about the eighth or ninth generation. I can see stage four looming ahead – back to 1600 because this might enable linking with the early United States colonists. 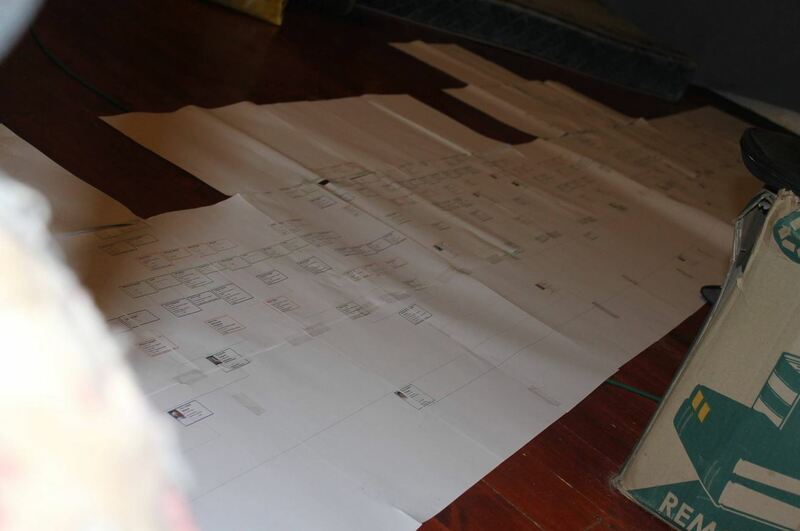 Oh yes – the family tree of 16,845 names and counting is nowhere near complete. A family tree is a big big entity and finding a match requires all the detail available in both trees. A few weeks ago, FtDNA changed their gedcom upload process to simple family trees. There was uproar! Actually, all these weeks later it hasn’t quite died down. I like them. The gedcoms were useful, but the family tree works well for me too. The new system has its kinks – setting the primary person in an uploaded gedcom is near impossible, for instance. Individuals without death dates show as ‘private’ because they are presumed living unless they have a specific ‘deceased’ tag. It takes more space on the screen and that’s never a good thing, but the benefits far outweigh the difficulties to me. They can be updated online, which is excellent. If I discover a new ancestor I can go in and add just that person. If I discover a precise date where a had ‘circa year’, I can do that. If everyone used these trees I would find it much easier to identify my matches. The search facility took me a while. If I first went to a tree I could search for a surname and find it. Later, after looking around, I would search and not find it. Now I realise that only the ancestry tree of the selected individual is searched. So if I load Joe Smith’s tree and search for his maternal grandmother Anne Maple, I’ll find her. If I load Joe’s paternal grandfather John Smith and then search for Anne Maple, I won’t – because she is not an ancestor of John Smith. The same goes for place names. I do like this facility. It can definitely help in a tree where I match no names. For instance, I have a hot spot on one chromosome segment centred in Chardstock, Dorset which I have identified by the location search. No names match, but our families were all married and baptised at the same church in the 18th century. It ought to work for the US as well, but so few people have added precise locations to their trees so I can’t get closer than ‘NC’ or ‘GA’ or ‘VA’. I gather the system is not working so well for project managers and hopefully this will be resolved soon. I was very concerned to read forum posts by people saying they hated the trees so much that they have removed their gedcoms. Why? 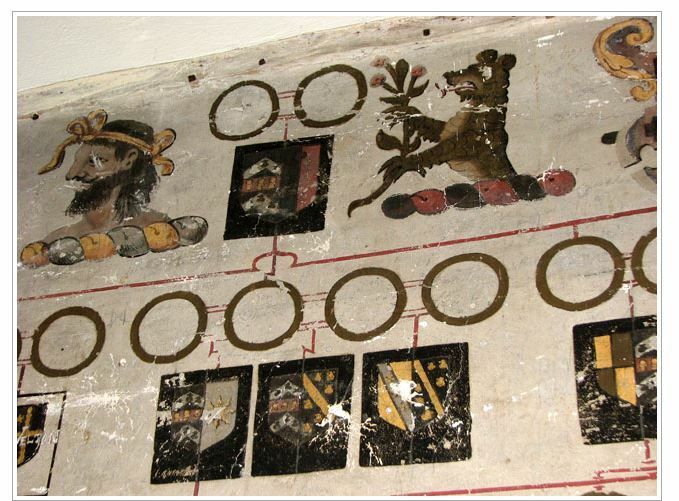 What is the purpose of DNA testing at FtDNA if not to solve family tree puzzles? We work with whatever details or tools we have until better ones are around. A lot of those people seem to have trees at Ancestry and maybe forget that we don’t all have subscriptions. A tree at Ancestry is not accessible to me. I have a free registration but this does not allow me to access trees or records – not even ‘public’ trees. So hearing that people have removed their details from the one place I can view them is a little distressing. I quite understand that tracking down a very distant match is not a priority for many testers, but I do like the opportunity to pursue it myself. I’ll then email that distant cousin when I have worked it out. In the meantime, I have updated both my tree and my son’s tree and I work with the trees I can access. Thank you to all who tested on FtDNA and have added details into their tree, even if they hate it. If you match me, I will try to repay you by finding our connection. Charles belongs to my son and is his 4 x Great Grandfather. I would dearly love to know more about him. He was apparently Italian but we only have his own word for that. His name was mangled on every British record so he is hard to trace. However, my son’s ‘My Origin’ results at FtDNA suggests 12% Western European and that might come from this man. If so, he might come from Northern Italy. Apparently born in 1782, Charles was a silversmith, a jeweler, a clockmaker or a merchant, depending on the record. It’s clear he had something to do with jewelery. At the age of 46, he married Mary Ann Woolfrey of Lulworth, Dorset. Mary Ann came from a respectable and devoted Catholic family and was born in 1807, the youngest child of Henry Woolfrey and Mary Wilkins/Wilkinson. By the time she met Charles, her eldest sister Helen had already become a nun, and two of her brothers had entered a monastery. She had another two brothers. Joseph was a publican and after her parents’ deaths it seems that Mary moved in with him. Their father died when she was a child, and Joseph may have become her guardian. She also had a brother called Charles who was definitely the black sheep of the family. He tried the monastery, hated it, became a black market publican, was arrested and eventually joined the army to avoid transportation. Charles the Black Sheep ended up in Australia, having straightened out somewhat. Brothers Henry Norbert Woolfrey and William Odillo Woolfrey, Cistercian monks, also ended up in Australia and are somewhat famous for establishing the first Cistercian Monasteries. They were granted access to significant funds by their order and must have been capable and trustworthy persons. Eventually they returned to England. There are two more siblings, Catherine and James, who I have not located. Mary Ann Woolfrey was devout and lived with her God fearing brother Joseph, the publican, who ran an honest and clean house in Lulworth. To a 21 year old of quiet habits in a small town, a mature Italian jeweler was probably quite exotic. He was by no means the only Italian around but no other has his family name. Reading between the lines, he was probably a smooth talker and quite suave and sophisticated. He travelled – he had a business in Newport on the Isle of Wight and probably visited the Dorset mainland in the line of business. He was Catholic, as she was, and it seems quite likely that he played the religious angle, since his later years show no sign of religious rigour. The engagement was announced in the paper, the advertisement placed by Joseph Woolfrey who I’m quite sure would not have allowed his sister to marry someone questionable. They fully believed in the honesty and integrity of Charles Discacciati. As may be apparent from my choice of words, I’m not quite convinced. I am not sure what was going on but given the amount we know about the Woolfreys, if he was an open book we’d know as much about him too. Perhaps he really fell in love with Mary. Perhaps they were happy. But it was odd. Charles the travelling jeweler/silversmith from Italy aged 46 was going to have a story. Parents, siblings – a first wife and family perhaps? A reason why he left his native shores behind? They were married in Lulworth in January 1828 and moved to Newport soon after. Their son Charles Norbert Discacciati was born in December of that year. Charles Junior was an only child. Mary’s brother Joseph came to Newport too, after a while. Was it that Mary was quite unprepared for the reality of a wife’s world? She was undoubtedly a sheltered girl, raised in the pure church ways. Was it that Charles was not a good husband? Was there illness? The Woolfreys were a prolific lot and Mary might have been expected to have a whole brood of children. It was also the Catholic’s duty. Perhaps Charles only married for a son and heir. One child only is unusual. Charles died in 1840 at the age of 58. Charles Junior was placed in the care of his uncles at Mount St Bernard Abbey in Leicestershire. Maybe he was already there. 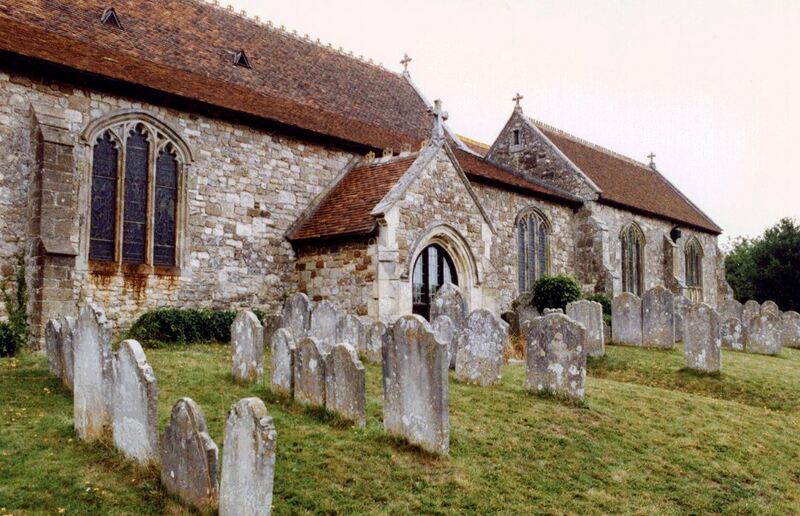 Mary entered Stapehill Convent, a nunnery in Dorset. She was thereafter known as Sister Scholastica and eventually became Abbess. From the time she entered the convent, she was known by the surname ‘Ambrose’. Charles Junior was sometimes given the surname Ambrose and sometimes Discacciati. Eventually he emigrated to Australia where he married. He was the father of many children but most of them died at birth or shortly after. There are not many people surnamed ‘Discacciati’ to be found anywhere. I’m not sure that there are many in Italy either. I’ve found the greatest number of them in Brazil. Of course, this might just be due to the search engines. I’m waiting for DNA testing to resolve this one too. John Brown was born in the year 1739 in Fordham, a small but thriving town in Cambridgeshire, England. 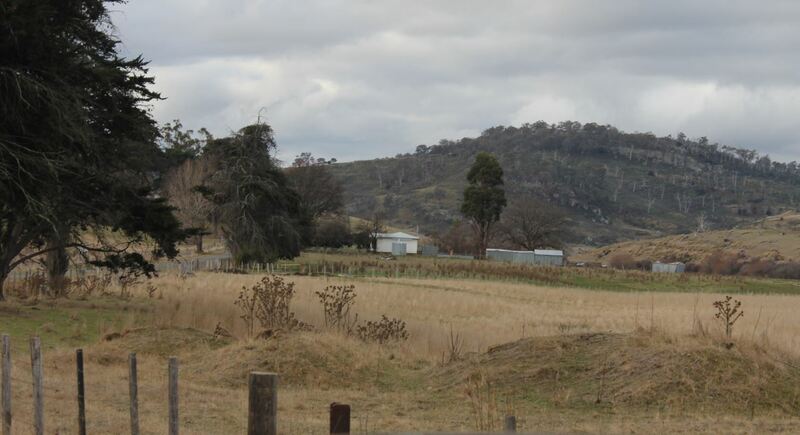 Fordham is a small village but its population has fluctuated over the years. It has a history of habitation going right back to the Bronze Age. The Romans built one of their famous roads through it, from the market towns of Newmarket to Ely. A Gilbertine Abbey was built here in the 13th century and various manors popped up over the next few centuries. Always a farming place, the villagers worked on the various properties and kept their own stock on the commons. If ever one is looking for an iconic English village, Fordham is worth examining. Even by 1739, when our John was born to unknown parents, every foot of ground had been walked on in his locality, over and over again. Digging channels and paths often led to the discovery of ancient wells now covered over, or stone blades from a distant past they could not really conceive of. The occasional references in old newspapers are very intriguing. The authors of the day thought the place was boring. A dull old country community full of farming yokels and squires with a passion for cattle. The kind of squire, I would imagine, who had a portrait made of a prize bull to hang over the fireplace. Those people existed. We don’t know much about John, but he was probably a home loving type like his descendants. The Browns of Fordham were comfortably off and appear to have lived on the same property for several generations. He was a farmer, no doubt he started on the farm at a young age and knew just what he had to offer when he went looking for a wife. 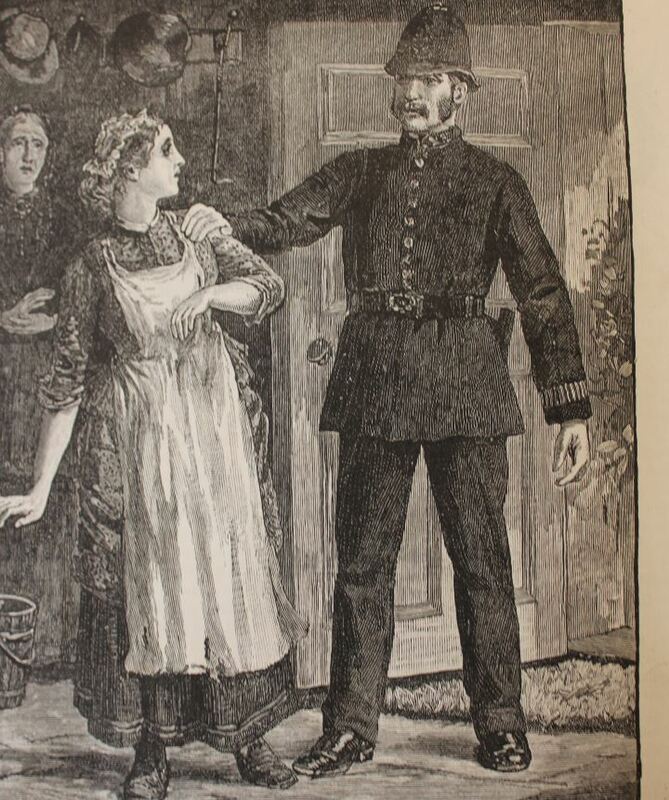 The (hopefully) lucky lady was Mary Boon. I have not located her birthplace but according to her age at death she was born in 1745, so just six years younger than her husband. Fordham is annoyingly close to the Suffolk border and it is necessary to search both counties for records. I have not obtained the correct records for Suffolk yet, so I’m hoping Mary was born there. She might have been raised in Fordham. Being on the road from Ely to Newmarket, there were people going through and there was a toll gate at Fordham. She probably came from somewhere nearby. John Brown and Mary Boon were married in 1760 in Fordham. Due to the transcription method chosen by my subscription package, it is not possible to search for children by parent names. I have only located children by guessing at a likely name and searching for it. Then it will show me who that child’s parents were. A lengthy process. Until quite recently I had only three children for John and Mary – sons John born 1771, Benjamin born 1785 and William born 1786. There were clearly going to be more. I’d bet on a Mary in there somewhere. Perhaps half the children died young and siblings were given the same name. Researching John and Mary Brown in the 1760s is not a task for the faint-hearted. I can’t take the credit for the initial research, it was a man named Ian Woolley (his real name) who first located these records. He was a man who achieved wonders for Tasmanian genealogists and I suspect has now passed on since he was an old man twenty years ago. I have, however, built on his work a little, since the internet popped into existence. I have spent six months working on a DNA match with a lady, and we thought our connection might be in northern Ireland. I have ancestors from Fermanagh, she had ancestors from Tyrone. She’s working hard on those ancestors. It seemed logical to me, but when we couldn’t find it I looked further, and found one Ann Brown way back in her tree, born in 1768 based on age at death. Ann Brown appeared in many trees, married to John Burling in 1784, but never with any parents. However, she was married at Bottisham, nine miles away from Fordham. After investigating, a baptism turned up for Ann Brown child of my John and Mary, in 1766 in Fordham. John and Ann Burling used the family names and one of my other Browns show up in Bottisham not long after their wedding. It fitted together well. This was a case where DNA testing has really helped my family tree. I’d never have found Ann, and Ann’s descendants would never have looked in Fordham for her. There are too many little villages and parishes to scour them all for Browns. I am a descendant of Benjamin who was born in 1785. Benjamin’s son Robert was a convict who was transported to Australia. He married my first brick wall Mary Morgan (see earlier post). Robert Brown and Mary Morgan’s third son was another John Brown and my great great grandfather. Benjamin had another son, Benjamin, his eldest. One of Benjamin Jr’s sons emigrated to Australia as a free settler. I don’t suppose my Robert ever knew he was there. My newly added link, Ann Burling nee Brown, also had a descendant who emigrated to Australia. I wonder how many more I will find?